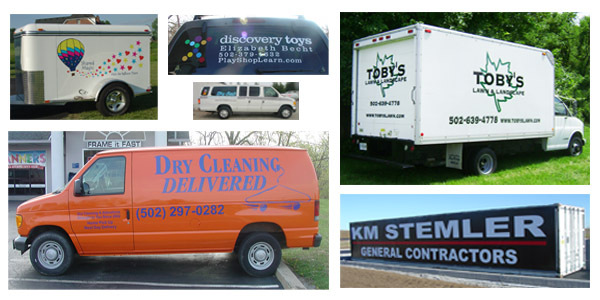 We can provide custom lettering and logo adhesives to dress up your vehicle and spread the word around town. Or, to make a bigger splash, we can wrap your entire vehicle with a custom, full-color design. Put your vehicles to work! A rolling billboard that works 24 / 7.